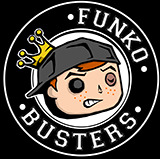 Faker Dorbz was live again through the Walmart site if anyone was looking for it. Shipping was a little pricey. I’d post the link but my phone keeps opening the Walmart app when I click on the link. we need more MOTU dorbz, so many characters still left. this is my favorite funko line. Are you talking about the dorbz? YES, I like this skeletor a lot. Funko is now selling him through the wal mart marketplace. 8 bucks, 4 dollars shipping through Funko. He’s been up for a couple days. Who doesn't need more MOTU Dorbz? Yeah, I was shocked to see that. I ordered Faker a while back and nothing has arrived yet! thanks for the tip though, I let some buddies know he was for sale! stupid question but what is the Walmart marketplace? AshleyWilbanks wrote: stupid question but what is the Walmart marketplace? Stuff sold on WalMart's site by third party sellers. Is anyone hoping to see sdcc motu dorbz? 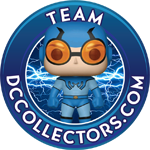 FunkoNerd wrote: Is anyone hoping to see sdcc motu dorbz? Maybe that'll be the single dorbz Brian mentioned. Or even better, one of the 4-packs. There's still hope. Brian announced there's still 2 4-packs and a single to be revealed. It'd be nice to see one of those being MOTU Dorbz. I heard they may be scaling back on Dorbz. I guess we’ll find out! I would expect those to be in MOTU reveal today. I don’t think we see them. Booooo. Maybe another one will show up in the specialty series. Or a large number shop drop. 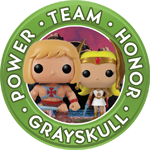 i just asked funko on twitter, "any more Masters of the Universe Dorbz ever" and they said "no news for now but there is always a chance". So doesnt look like they have any in the works or plan to at this point. MOTU is on fire for sdcc, that stinkor. 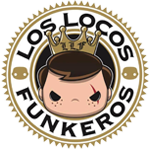 And it seems like funko is positioning vynl in place of dorbz this year. Last edited by mactds on Thu Jun 28, 2018 6:29 pm, edited 1 time in total. mactds wrote: MOTU is on fire for sdcc, that stinkor. 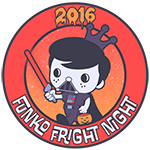 And it seems like funko is positioning vynl in place of dorms this year. yeah they are definitely trying to make Vynls happen. are those like starting to be big or something? They are trying to push the Vynl line! I like them! I’ll be trying to grab the MOTU vynl! I like the Motu Vynls and the freddy ones too. Of course more will come! I too really like the motu vnyls but I am concerned they are not making good decisions with character picks. Last year at fun days, they showed the skeletor and man at arms together, so I was bummed they packaged him with Faker instead. All of those are just too similar for me...He Man of course needs to be made...but honestly, I could have done without both the other characters...there are so many unique and crazy looking characters that would have been much more fun VNYL selections. They need to start shaking things up with these assortments...if they do battle armor heman next, I’m going to start assessing whether or not to continue collecting this line. All good choices! I liked that the finally did a Sorceress but I wish that the Beast Man vynl was paired up with Moss Man instead! There are a lot of characters in the MOTU world, so they have a lot of choices! fischmioli wrote: They are trying to push the Vynl line! I like them! I’ll be trying to grab the MOTU vynl! fischmioli wrote: All good choices! I liked that the finally did a Sorceress but I wish that the Beast Man vynl was paired up with Moss Man instead! There are a lot of characters in the MOTU world, so they have a lot of choices! You make a goof point there!! !